Welcome to Sewn in America. 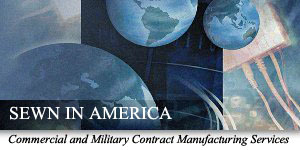 A new leader in contract manufacturing specializing in commercial and military contracts that require finished goods to be Made in America. Our access to US based plant allows us to offer very competitive pricing for contract sewing at all volumes.